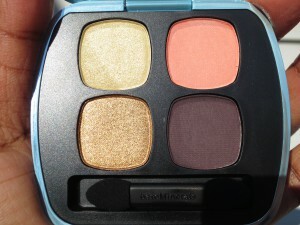 There are two new Ready Quads from Bare Minerals that I picked up last week from Nordstrom. 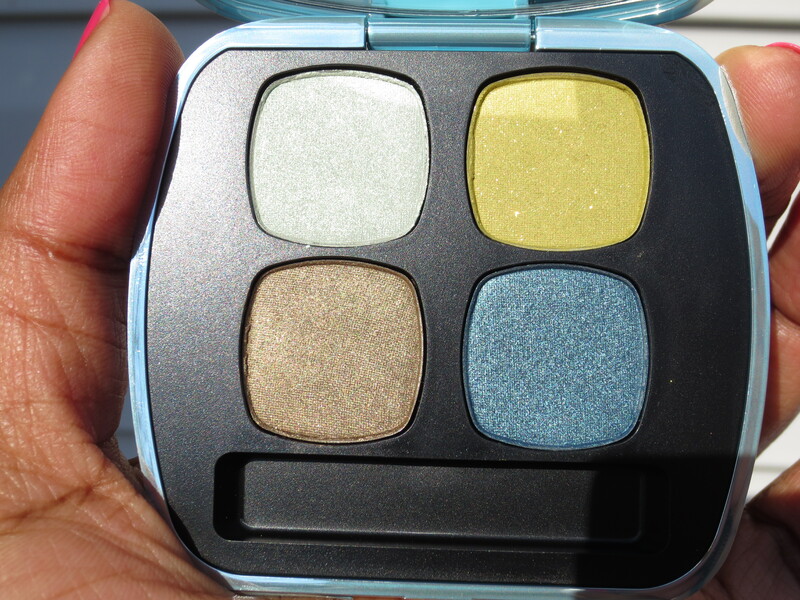 I haven’t had a chance to play with them yet but I love the Ready shadow formula so I know that they are gonna come in handy for some pretty eye looks in the next few weeks. 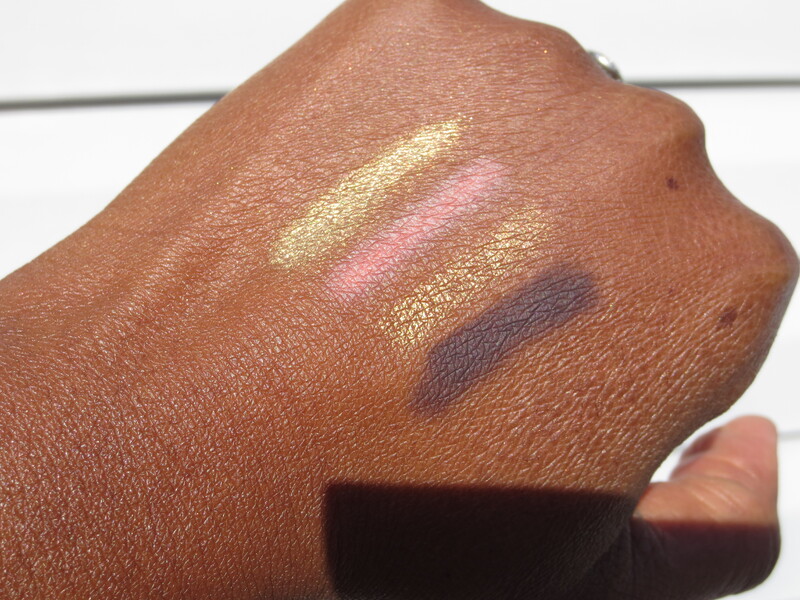 Here are some quick swatches! And now take a look at The Wild Thing. I don’t know which color line up I like better. They are so different. In a good way though! Check these out at the counter or order online. I can’t tell you how easy to use and buttery soft the BE Ready formula is. My lids are kind of dry and unhappy during the winter but they love the Ready shadows. If you haven’t tried them check them out at the counter or Ulta. I know there is a duo or quad you are going to want to take home with you! 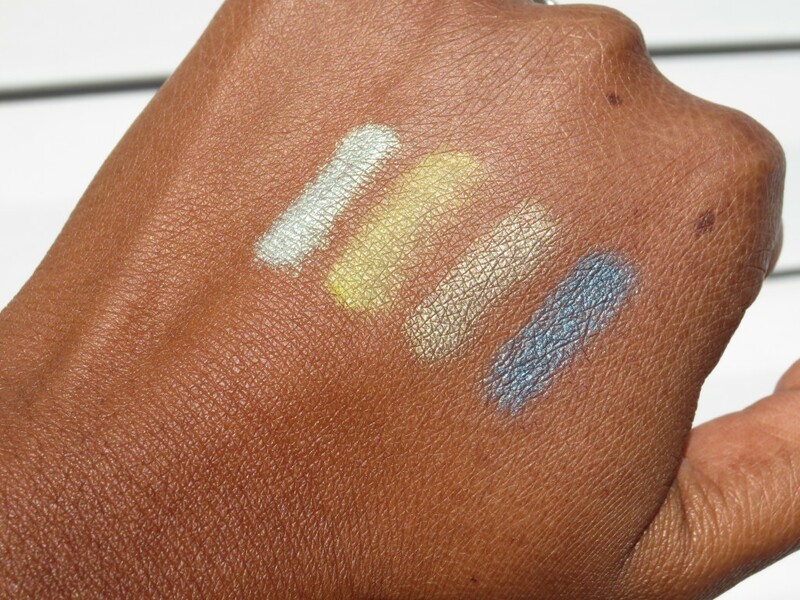 I saw the ad in the ulta brochure and it was not clear why these are different than the other shadows. I like the blue packaging. I really like the blue. It makes it easier for me to remember when I got it. I need clues like that! I think it’s going to be hard to figure out a favorite but I am using that matte coral FIRST! I need that shade! Is there a TSV coming up from them? Or is it just Mally and Tarte this month. I can’t remember. Just Mally and Tarte this month. I want to say they usually have another one around March. But don’t quote me on that. Last year the focus was on the foundation. 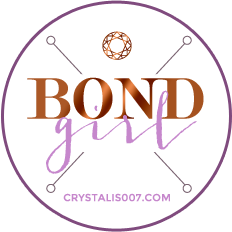 It has a foundation, new primer (neutralizing one), bisque/concealer, moxie gloss, prime time shadow primer, brushes and a blush. It’s still up (A220841). Funny I’m looking at it now and The Natural High was in it LOL! Of course I got this but I gave the blush away ha! Then they’ve had a skin care one the last two years. Summer they are the super size of their faux tan or whatever it’s called. And then back to the big daddy of the November TSV. Thanks. I can’t keep it all straight. It’s a good thing there aren’t three this month. I think I’m getting just the Mally. She’s on next week right. Should be FUN! It’s a lot to keep straight. 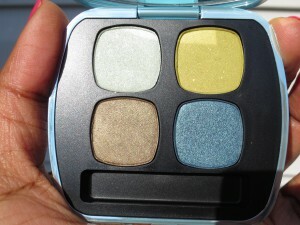 With Mally’s I’m leery of the powder and under eye brighter yet I’m curious lol!